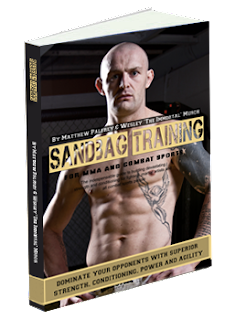 Todays workout is straight out of Sandbag Training For MMA & Combat Sports and was specifically designed to test the strength and conditioning of elite MMA athletes - i.e. there is a fairly large probability that it might mess you up. Complete as many repetitions in 1 minute of each of the following exercises in sequence.